About three weeks ago, Nikolai Barnwell of 88mph accelerator or tech incubator did an interview with Reuters, explaining whey 88 was moving to Nigeria and closing its Kenyan operations. The article has since been reproduced locally and you can read it here. The gist is that Kenya is hyped and Nigeria is more stable. When I read the interview, I had several questions and I sent some to Nikolai and he promised to respond, let us hope he does. There were other questions that needed to be answered by some local tech start ups who have made it or are on the road to making it. Just to be clear, 88 invests about $25,000 about sh. 2,225,000 as the maximum but is also subject to negotiations…can be less. There is no denying that for every company that succeeds, there are probably 100 or so others that met premature deaths or were still born. To that extent, we can say that challenges are abound but does it mean that the Kenyan market if fluffy? Last Saturday, I met the founders of Pesapal.com, angani.co.ke, innova.co.ke, and wezatele.com (it recently exited). The idea was to get a candid discussion on whether we are actually full of fluff, whatever that means. First, let me say that I met Nikolai three or so years ago when 88 was an empty hall. I asked him what his strategy was, and he said the idea was to fund start ups, hype them, get clicks and eyeballs and then sell it off. Apparently this model has succeeded in Europe. I remember thinking, this is the biggest load of bovine deposits I had encountered in a while. I asked whether he had done his study to know whether the European model will work or not and he said he had, so who was I to think that our market is different. I asked him whether this is still the model and he is yet to get back to me on that. Now, lets get to the fluffy part…. 1. Yes, it was his opinion but does it make it authoritative, however erroneous? I felt bad that 88 has been unable to play in the Kenyan market and instead of owning up and saying they had made poor choices, they say the market is fluffy. Doesn’t this speak of 88’s choice of investments? Their inability to ride the tough tide isn’t because of fluff, its poor choices; 88 killed Pesatalk, probably the best idea they had, and when Wezatele went to them for investment, they turned them down and a while later, they were bought out by an international firm. In the case of Wezatele, is it out of fluff or poor choice? I am sure others have similar cases of turned down options but I am yet to see a success out of 88 that has exited and has a product in the market. I think it was important to get the view of another incubator that has had companies exit or go ahead and launch products in the market. Why would Safaricom launch a $1 million fund if its fluff? And why would investors fund all these companies listed by @whiteafrican? In one year? There is need to separate investment from advise. If you give money to a company but you have no knowledge of the local market or have no mentors to help them, the companies will surely not survive. The two need to be separated. 88 may have invested in these companies, but were there mentors? This applies to those crappy ideas investors come up with, just because it worked in Europe, US, it doesn’t mean that it will work in Kenya. Upon conversation with former 88 incubatees, it happens that once they invest, the start up is then forced to take on western consultants who know nothing about the market beyond Ngong road and the national parks and to take up office space at 88, at a cost of sh. 10,000 per person. Imagine if you have three developers, two founders, thats 50k a month, and they don’t allow you to take up cheaper space elsewhere. This is the model that is doomed to fail, if all the successful companies started by renting expensive space and include other overheads, then thats a deal doomed to fail. Bear in mind that sh. 2m isn’t much. There is so much we can say about government, culture…etc… but this is a market and rules of natural selection apply. You come to a market and within two years you want the start ups to “disrupt” and take the market by storm. You got to be patient. For instance, Pesatalk seemed like a good idea but needed a lot of support and networking with the local finance market. The idea was to provide financial information in a very simple and understandable language. Think about all the old, young men and women you see at AGMs, you think they understand fully the lingo? The company could be saying they squandered the money but they put it in a way that you need to read the newspaper or online to get what was meant. Pesatalk was to synthesise this info. This needed high network and patience but I could see it lying off in a few years. I can only imagine the people who will lose their jobs but even then, the failure by 88 to read and predict the market and support its start ups doesn’t mean we are crap. Failure to choose the right investment doesn’t mean that its fluff, its a question of 88’s judgement and their advisors/handlers. The article quoted Nikolai saying that founders of Facebook etc come to Kenya and go shaking their heads, I wonder whether he knew that in 2008, way before there were any hubs, Facebook was sponsoring start up garage? You can read here. My question then is, if Facebook was in the Kenyan start up scene before there was any hub, it was dry land, how then would they shake their heads, except in approval that the seeds seem to have germinated? There are many start ups that will come after 88 is gone to Nigeria, and they will succeed if they follow the right business principles. 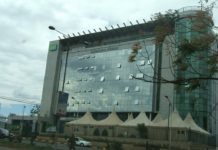 Previous articleSafaricom launches sh. 90 million VC Fund- the questions…. Interesting blog post, Wanjiku, I’ll be keeping my eye on your blog! I am also looking forward to seeing how 88 does in NG. So true re: Investment does not = advice. You are being economical with the truth on pesatalk. Although it set very high standards in its work, the business was not making any money and was clearly not sustaining itself. Let me look for Macharia to help on that…. First let me point out that I did say in my email that I was busy and not able to answer before early this week. So I’ll just respond directly here instead of emailing you. I hope that is ok for you. I’ll try to be brief but some of this is fairly complex as you can imagine and does require more than a one liner. Also, by now there have been so many blog posts about 88mph and our model and most of the time the information is straight up wrong. We are often too busy to answer all these posts, but this time I’ll try to expand a bit so readers can refer here in the future. If you want me to expand on any topics, please reach out and I’m happy to do so. One reason is that most of our small team was busy running our first accelerator program in Nigeria this fall. We are a small team, operating in 3 different countries with 43 startups under our wings. Another reason is that we are focusing on the companies that we have in our Kenyan portfolio now rather than stretching ourselves thin. We are actually very involved with our startups and help them long after the official 3 month program. You can reach out and ask our portfolio companies. Another is that we are fully invested with our first Kenyan fund and would have to set up a new structure and raise a new round to do more investments in Kenya. We didn’t have time to do this. 2) 88mph normally invest up to $100k per startup, though we have gone higher on one occasion. 3) We are not moving to Nigeria and shutting down Kenya because there’s too much fluff in Kenya. When you look at the two markets then yes, Kenya has more NGOs, more pitch competitions, more awards, more grants, more journalists writing stories about Silicon Savannah, more of all the stuff I referred to as “fluff” in the interview. I think it’s hard to deny this. Nigeria has little of all of this compared to Kenya. But that has nothing to do with our decision to start a program in Nigeria. We are doing Nigeria because we found an awesome partner in our joint venture (440.ng) and we got an amazing opportunity to enter a market we find extremely exciting. 5) You are right that success for the investor is ultimately an exit and a return to shareholders. But it takes many years to build a solid company and we have never expected to exit any companies in our first 3 years in Kenya. We have made some investment that just didn’t work out, but that’s the name of the game. That said, we have made some really great investments in Kenya. Many have products, revenue and some are even profitable already: Ghafla, Futaa, Mdundo, Movas, Yum, Hivisasa, Nanovas, BookNow, just to name a few of the ones we’ve invested in in Kenya. We are far from saying that we haven’t picked any winners in Kenya. 6) Whether or not 88mph provides valuable advice and assistance beyond our money is a valid question. However, I think this question can only be answered by our portfolio companies. I encourage you to reach out and ask what they think. But please do ask more than just the one we decided to shut down. It doesn’t give a very full or nuanced picture. 7) We don’t hire or use “western consultants”. We have experimented (with varying success) having Entrepreneurs in Residence, who for instance, do all the graphic work for the startups doing the program (if they want the help). We don’t force the startups to take office space at the Startup Garage (88mph’s home). We do require them to work from the garage for the length of the program, but we actually pay for that. They don’t. And after the program they are free to move elsewhere. Some companies move to find cheaper space, be closer to home, etc. Some companies stay. 8) I’m happy you think PesaTalk was such a great idea. We thought so too 🙂 But for many reasons, we didn’t have time/energy to really get if off the ground so we decided to shut it down. 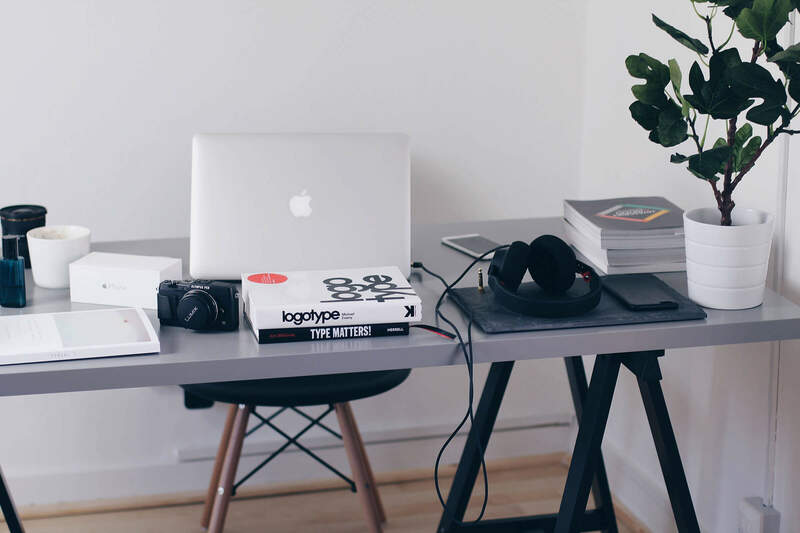 I strongly encourage to set up a financial blog and run it as a business. Maybe you’ll have an exit here! 9) I fail to understand the argument about facebook. I’m talking about individual angel investors looking for investment opportunities and you are talking about a massive global corporation, extending it’s developer program to the regional capital. I don’t see where the connection is here. Summary: Investing in startups is a tricky business everywhere. Also in Kenya. Kenya has ups and downs, like any market. We are happy with our investments in Kenya. We have met some great entrepreneurs whom we have helped build cool companies. There is fluff in Kenya. But that is a separate discussion (which has already been beaten to death on Kenyan blogs) and has nothing to do with out decision to run a program in Nigeria. I hope this helps people breathe again before they get all up in arms about how horrible it is that some investors want to make risky bets on entrepreneurs in Kenya. I read this and couldn’t help but laugh. The article while well meant was not well researched. FALSE -fiscally and as a statement of facts this is simply not true. FALSE -this betrays the lack of research that went into the article. Either because you are scared of mentioning Ghafla or because you were too lazy for due diligence. You probably relied on water cooler conversations for source material for this piece. I see your IP is from Radio Africa so I will assume you are a journalist or closer there, now that you are well seized of “water cooler discussions”. I don’t have one. Anyway, when you send questions to a source for info, the onus is on them to supply it. That is why in Nikolai’s response, he appreciates that he had some questions from me. I know Ghafla is the most visited tabloid in KE but do they have a product? Maybe you can share….apart from advertising on account of eyeballs? I think there’s a bit of confusion here about what a product is. For a content startup – like Ghafla – the product is their website. That goes for Huffington Post, Reddit, MailOnline, etc. Hi Wanjiku, thanks for your post. First things first, I am not sure about your source of information on Weza Tele exiting, as its all rumours for now. Re: 88 refusing to fund Weza Tele. Just a correction, Weza Tele participated in HumanIPO competition in 2011 to raise our seed, but we did not win the competition so we did not walk away with the cash. The information that Wezatele exited or was acquired is on Erik’s blog, did you get a chance to read it? I think that is who you should be telling to stop peddling rumours. That post has been up for a while.